Eurovision 2015 – The parties kicked off last night with the San Marino, Serbian and the Nordic party. The Nordic Party saw Norway, Estonia, Sweden, Denmark, Iceland and Finland all get together to have a fun night of music and friendship. At the Nordic party Maria from Iceland performed ‘Unbroken‘ and ‘Euphoria‘, and Denmark Anti-social Media sang ‘The way we are‘. 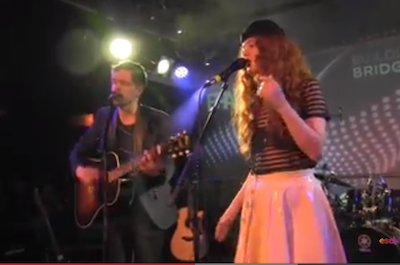 Mørland & Debrah Scarlett (Norway) sang ‘Fairytale‘ from 2009. Måns Zelmerlöw (Sweden) sang a medley. The best videos of the night come from the EscKaz site, you can find them all here. We’ll have a review of the San Marino party online shortly.